Plants produce essential oils that protect them and lure pollinators to ensure their reproduction. 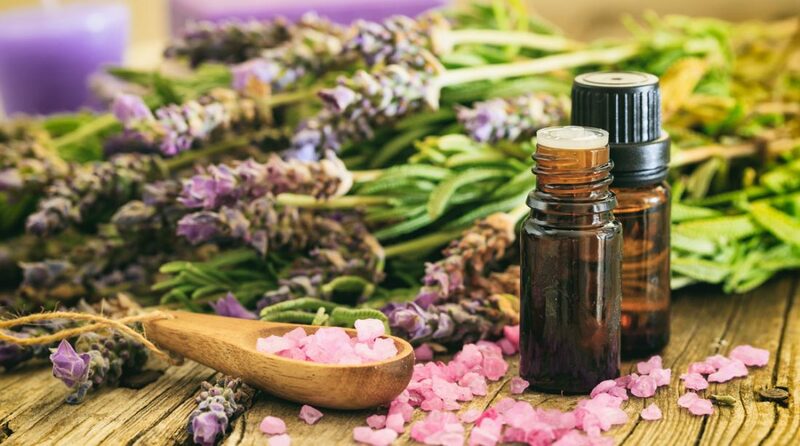 These essential oils are composed of aromatic compounds that give flowers, leaves, and bark their fragrance. These aromatic chemicals can be captured for our use through distillation. Fragrant essential oils are commonly used in aromatherapy. They may be inhaled or massaged into the skin to stimulate the limbic system, which plays a role in regulating emotions, memories, behaviors and even stimulates some unconscious physiological functions, such as breathing and heart rate. Produced by the Indian Boswellia Serrata tree, Frankincense has been found to have anti-inflammatory and anti-depressive effects, making it ideal for women with tender breasts and tender hearts. Lavender essential oil offers antioxidant and antimicrobial benefits, and the relaxing aroma helps to reduce anxiety while improving sleep. All of these benefits make it a go-to essential oil for weary and worn nursing moms. Derived from the medicinal Cupressus sempervirens tree, cypress essential oil can help fight infections and relieve cramps and muscle pains. Like lavender and frankincense, cypress also relieves anxiety. Are essential oils safe for breastfeeding women? The National Association for Holistic Aromatherapy cautions against using particular essential oils while pregnant. However, a high-quality essential oil such as DoTERRA used according to instructions should have no ill effect on breastfed babies and may offer mothers a natural way to soothe sore muscles and stress. Because babies are more sensitive to essential oil, it’s best if you use them in a warm bath or aromatherapy inhaler to restrict the effects to yourself and prevent direct skin-to-skin contact with your little one. Also, some women may have allergic reactions to essential oils, so consult your doctor before using.